Get a full view of your site’s most critical asset: content. Discover what to keep, cut, change and add. The team at this luxury travel brand needed a tool to improve the quality and consistency of its rapidly growing website content. We conducted a quantitative and qualitative evaluation of 71 representative pages. 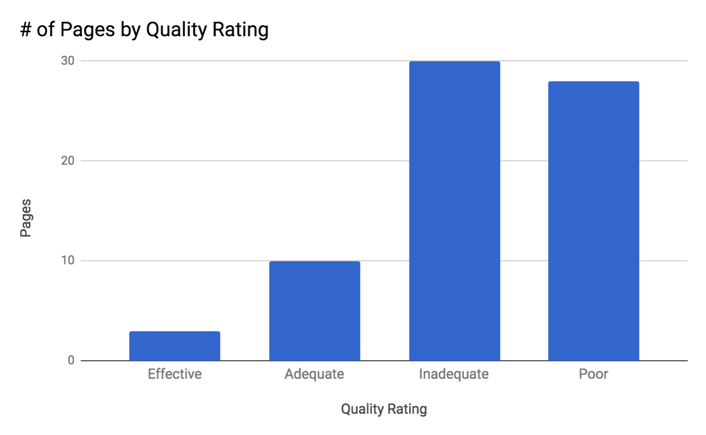 We combined manual quality ratings for each page, Google Analytics data on traffic and conversions, and other factors. The output: 29 recommendations across 7 content areas of the site. These included 6 high-priority recommendations for creating new pages improving existing pages. A top maker of wine cooling equipment was redesigning its site, and wanted to build a user-centered content strategy. We conducted a content audit of the existing site, including a qualitative assessment of all 287 pages. We found 70% of pages to be “inadequate” or “poor” and identified 15 core problems. The output was a lightweight content strategy. The site’s new content contributed to significant increases in KPIs, including an annualized website revenue lift of over $500K. 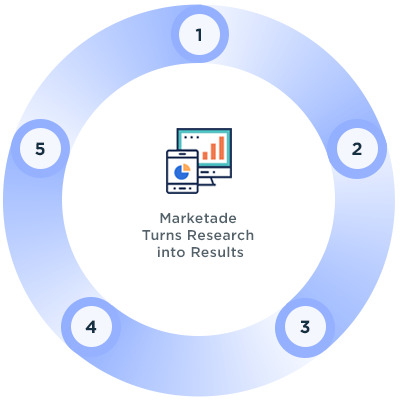 A typical content audit runs through at these 5 phases. We collaborate with your team throughout the process. We reach quick alignment on your KPIs, project goals, and users. We deliver a detailed report and present the top findings and recommendations. We rank our recommendations based on estimated impact and effort. We review your content from a user-centered lens and identify problems. From one-time usability testing to innovation workshops to weekly UX research cycles, we help companies turn user insights into business results. We work with organizations across the U.S., from the Fortune 500 to fast-growing startups. We're based in the Washington DC area and have consultants in Philadelphia, Denver, Durham, Portland, Vermont, and the New York metro area. Request a sample project report.